For ease of reading and digestion I have broken the vRetreat Cohesity update into two sections. As always, the initial 20-30minutes covered off the Cohesity background and mission to “Redefine Secondary Storage”. Cohesity founder was Mohit Aron who was one of the original founders of Nutanix, and was instrumental to developing the Google File System. I believe they are into their 4th funding round. In August 2018, Cohesity announced that their revenues increased 300% in FY 2018 and announced a massive customer growth as Enterprises globally embrace the companies hyper-converged secondary storage platform. The growth added numerous enterprise customers in FY 2018 including including Air Bud Entertainment, AutoNation, Beam Suntory, BC Oil and Gas Commission, Bungie, Harris Teeter, Hyatt, Kelly Services, LendingClub, Piedmont Healthcare, Schneider Electric, the San Francisco Giants, TCF Bank, the U.S. Department of Energy, the U.S. Air Force, and WestLotto. Enterprises seemingly are selecting Cohesity to fuel their hybrid cloud journey, with more than half of new deployments in the last fiscal year embracing Cohesity’s technology that empowers companies to easily store, protect, and manage data and apps in the cloud. More on this company announcement can be found here. Cohesity believe that 20% of workloads should be placed and maintained on primary storage platforms, with the remainder 80% residing on secondary storage. File and object-based storage (SMB, NFS, S3/Cloud storage, etc) a lot of NAS workloads don’t need all flash! Why invest in something you don’t need..
Test/dev as you have a copy using Cohesity data protect, therefore provision for test and dev! Utilising snaptree to deliver this. 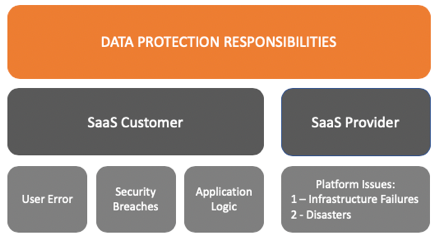 Is it the responsibility of the cloud/SaaS provider to protect your data? – there is an argument for this but one thing they would never be able to prevent is a user-based error. As can be seen above, over 70% of loss was data purged by users and insider threats. 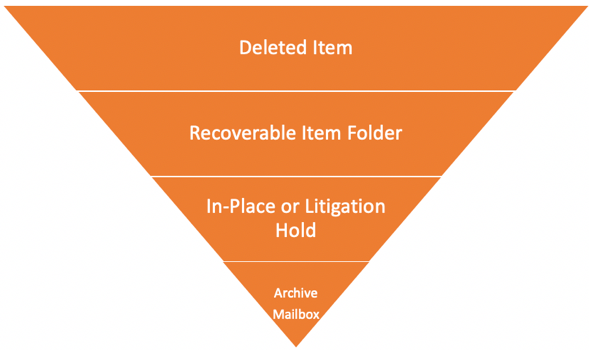 So, what is the need for O365 data protection over and above the built in capabilities? Some compliance regulations warrant storing backups on an alternate location (on-premise(s) / other cloud(s)) vs production data. At this moment in time, the data protect features for O365 are limited to Exchange Online only. For me this is the biggest flaw as it stands, and once Cohesity can cover more sourced within O365 the offering will become more rounded. Cohesity has seen that there is a gap for offsite replication (out of Azure maybe?) integrated protection against other secondary storage platforms with granular recovery and search functionality. The granular search and recovery function supports in-place or new destination recovery. Self-service recovery is also possible by integrating the Cohesity platform with ServiceNow. Cohesity has a view to become a SaaS protection company and is enabling its Technology/products to drive this vision.